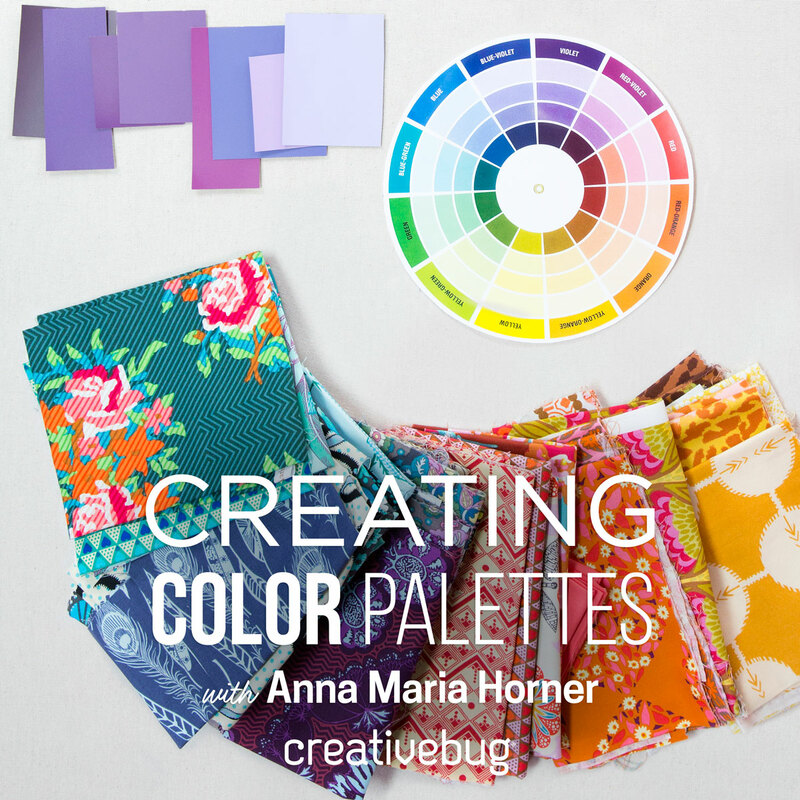 Anna Maria Horner: Because I love hue! ALL THE KITS ARE SOLD OUT! Sorry to some of you...I am counting now to see how many I am actually saying sorry to. I will respond to all that have emailed me, either way. I am checking to see how many of the last orders I can still accomodate without sending you scraps of my bedspread (which is really pretty...hmmm). Mostly thank you for all your orders, wow, I thought I may be making garlands until I was 97. I feel, well, loved. It's the theme for sure. Love. Despair not if you haven't gotten one, I have faith that you'll be rocking out your own version. And this is not the last 'studio sampling'! Hey you guuuuyyys........remember when I was rambling about creating little 'limited edition studio samplings' in the form of a kit or goody bag? Well goody gumdrops, the first one is here! 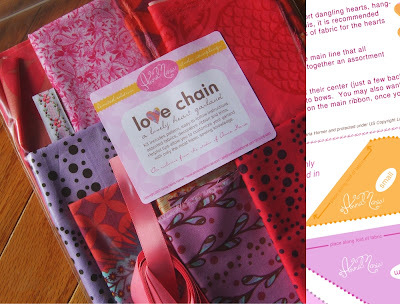 The studio is currently glowing and awash in pretty pinks, kicky corals and luscious lilacs that I've selected for this "Love Chain" garland kit. Most of the fabrics are from Bohemian, but they've fallen in love with a few other vintage-y friends. Each 9x12" clear completely giftable bag includes some of all the fabrics shown, ribbons, pattern, instructions, helpful hints on assembling, and a few surprises. 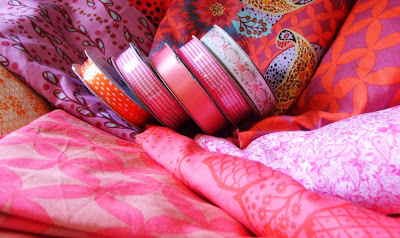 The combined yardage is roughly 1.5 yards, but in mix & match pieces of lovely prints. I've priced the kit at $24 and plan to ship all around February 1. Though this will be an amorous addition to your decor anywhere in the house during Valentines, the color scheme isn't limiting to just that happy holiday. Love should be in there air (literally) everyday so you can let this reversible garland hang from your bedframe, your doorframe, or over your luvy-wuvy baby's crib all year round. Because I've done these in such a limited quantity, I'm not using the most sophisticated of ordering schemes. It is a simple one though, thats for sure. Just email me at am@annamariahorner.com to place your order and I will reply promptly with the payment and postal details. OH! 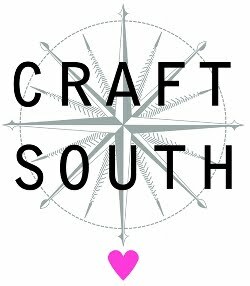 and orders will be taken on a first love-me/first email-me basis, so don't be lazy, but do be inspired to make your own if quantities should get nabbed up! This has been extremely enjoyable to put together! Barely even feels like work...which reminds me....back to work. Promise to be weird tomorrow...I've been tagged twice now...hmmm...ya think everyone thinks there are 12 weird things about me? I hope get one I sent an email. The are just gorgeous Anna Maria. I don't think they'll be around for long. Have you recovered from your birthday celebrations or is there still more to come? Hi Di-taking a small reprieve between cakes-the next birthday is not until saturday! And yes I better go count my stash against my orders. More later! 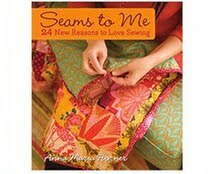 Sew Lovely! You outta put some fresh lavender inside the hearts just for fun! 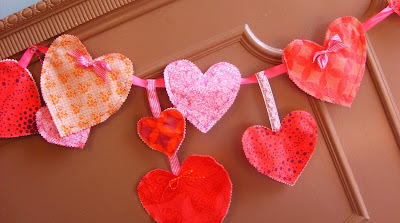 (not in the ones you are selling, but in your very own string 'o hearts! YUM! How perfect! I love them! Darn, darn, and DARN! I missed this!! How, I don't know, because I always visit you every day! Boohoo! Anna, they are sooooo sweet! Well of course they are all gone!! LOL! Shcucks. I need to keep on top of my blog lurking! LOL! Don't we all have 12 weird things about us?! We should have "Post your 12 weird things about yourself" week next week in blog world maybe?!! Or maybe we are constantly giving that away anyway! LOL! Tam-We all need a break! And there will more another one day soon! I am just discovering quilting and you! How blessed I feel to discover your extraordinary talent. ! Your creations are gorgeous! I'm so sad I missed this kit. 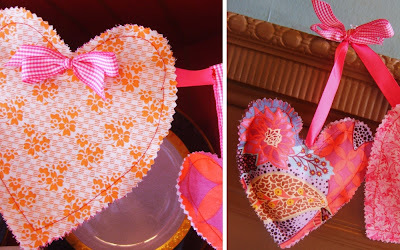 Is there a way to share your pattern and instructions, if not the kit? 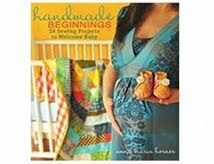 Hi Mary-thanks so much for your kind words, and welcome to the fabric world :) Its cozy and colorful in here! Sorry the package was compromised, but glad to know the goody bag was safe! Also glad to hear you now have a healthy house. I really appreciate your effort for sharing a great topic it's wonderful. Thank you for sharing.